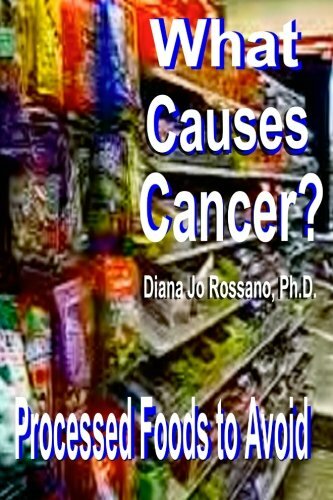 Diana Jo Rossano Ph.D What Causes Cancer? and Improve Anemia & Fatigue - Two Books in One! : Learn what processed foods to avoid. Proven High Energy Food Recipes. What Causes Cancer? and Improve Anemia & Fatigue - Two Books in One! : Learn what processed foods to avoid. Proven High Energy Food Recipes. Mainstream medicine has a theory that chemotherapy, surgery and radiation therapy cure cancer. Yes, these therapies cure about ten percent of all cancer patients in America. Dr. Rossano has a theory about lupus, diabetes, heart palpitations, stubborn constipation, IBS, fatty liver disease, chronic and debilitating allergies, acid reflux disease and migraine headaches that improves well over 80 percent of these diseases. Why not read her theory about cancer and it may help you to improve your chances to feel better in less time than you thought possible. That’s exactly what Mary did seven years ago, and her cancer hasn’t returned for the third time. In fact, Mary beat Fatty Liver Disease. You won’t know if you don’t try.